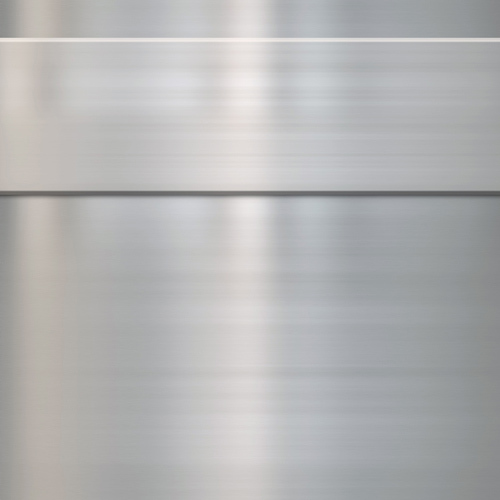 In our extensive line of products, we offer stainless steel sheets and stainless steel plate selections. The stainless steel sheet is typically sold in the annealed condition and available most grades. Polished surfaces range from the standard #4 to a mirrored finish #8 and are usually covered with a removable vinyl coating. We manufacture our standard sheet sizes to include 4’ x 8’, 4’ x 10’, and 5’ x 10’, but customized sizes are also available. Cut sheet is generally sheared to size, but may be laser cut or waterjet cut upon special request. Our stainless steel plate is sold in the HRAP (Hot Rolled Annealed and Pickled) condition and finish. Like the steel sheets, the steel plates come in standard sizes varying in width from 4’ to 8’ and in length from 8’ to 20’, but can also be customized to the application. The stainless cut plate may be sheared in thicknesses up to 3/8”, and plasma cut in thicknesses over that; waterjet, band-saw, or laser cutting is also available. If you can’t find the steel sheet or plate that you need, contact us for assistance. Sheets in 2B and polished plate. We offer a full line of cutting services including Shear Cutting up to 3/8″ thick and Hi-Def Plasma & Waterjet Cutting up to 6″ thick. No inquiry is too large or too small, we specialize in locating hard to find items. If you do see what you are looking, we would love to assist you and give you a quote today! Call one of our team members at 800.876.2700, contact us by email, or simply request a quote.